With the number of platforms and technologies growing at scale, how will airlines continue to consider connectivity to differentiate their brand across multiple platforms? How will they prioritise the optimisation of their mobile proposition? What new alternative payment methods will emerge to make transactions more seamless and instantaneous to accommodate digitally reliant and mobile-first travellers? How will brands continue to enhance engagement and retention, not just revenue? With passenger numbers set to double over the next twenty years, the aviation industry will need to keep up with the demands of an increasingly connected and tech-savvy traveller. In this whitepaper, we look at the priorities which will be central themes for airlines to consider in 2019 and beyond. The latest update to the International Air Transport Association (IATA) 20-Year Air Passenger Forecast, released on 24th October this year, anticipates a 3.5% compound annual growth rate (CAGR) for the air transport industry resulting in passenger numbers as high as 8.2 billion in 2037. How will airlines need to adapt with this increase in passenger numbers and what opportunities will this increase bring to the industry? IATA’s Forecast also shows an increasing shift eastwards, with the center of gravity moving to markets such as China, where most consumers are mobile-first technology users and have already shown a preference for alternative payments methods and quick, reliable convenient transactions. These consumers are eager to explore the world, but their digital habits mean that technology, as a tool to simplify travel, has become even more critical. Against this backdrop, how will airlines need to adapt with this increase in passenger numbers, and what opportunities will this shift to mobile-first bring to the industry? Interested in learning more about how our technology and data can benefit your business? Right now, we are witnessing a new generation of distribution that offers fundamentally different ways to purchase. Concurrently, initiatives like IATA’s New Distribution Capability (NDC) are enabling the industry to transform the way air tickets are sold to travellers, by allowing for integrations with more product differentiation and access to fuller, more dynamic air content, independent of the traditional GDS. Alongside this, many other platforms have been built offering APIs which connect deeper into airline distribution data, making transactions transparent and ticketing simpler. Adopting the NDC standard presents opportunities for airlines to leverage their APIs and provide value to customers to sell more than just essential travel components to their customers: transport, accommodation and destinations. This ultimately leads to a seamless travel experience. For example, Finnair is now capitalising on NDC for advanced destination retailing, giving customers an opportunity to book experiences in Lapland, both through travel agents and on mobile through an API. Skyscanner continues to see the benefits of NDC early-on, engaging with IATA on NDC adoption and being the first to achieve Level 3 certification in 2016. Skyscanner is also the first global search site to join the new NDC Exchange which allows API connectivity between airlines and travel sellers. and facilitates shopping, booking, and servicing workflows including the cross-selling of ancillary services among airlines. Many leading airlines including British Airways, Iberia, Finnair and Scoot are already seeing the benefits of NDC Direct Booking on Skyscanner, capitalising on the access of more than 80 million monthly website visitors. Through direct booking, airlines are effortlessly converting browsing to booking with an average 20% conversion uplift (50% in mobile conversions) in addition to a 100% uplift on ancillary revenue. Ultimately, products and services that are packaged well, presented in the right context and offered at the right time, are more likely to add value to the traveller – and consequently airlines capable of achieving this are more likely to benefit. This relationship with Skyscanner will improve the experience for customers booking flights through travel search engines as they will be able to view more information about their flight from cabin choice to aircraft type. We all know consumers are more sophisticated and demand a more seamless experience, and this initiative lets us deliver that while still maintaining a direct relationship between the customer and airline. said Hugh Aitken, Senior Commercial Director of Skyscanner. Skyscanner delivered revenue growth in its direct booking program of approximately 600% year-over-year in the second quarter of 2018. Major airlines including Air Canada, British Airways, United Airlines, Delta Air Lines, Finnair, and the LATAM Group, have also joined the NDC exchange. said Keith Wallis, Director of Global Product Distribution for Air Canada, the first airline to join the NDC Exchange this August. Next year the adoption of NDC by airlines will continue to accelerate with the effective use of NDC standards to introduce new products and offers to travellers gaining traction. If we start with consumers, the global shift from desktop to mobile is undeniable with travellers increasingly looking for seamless mobile experiences, native payments and world class customer service. With 43% of bookings in China completed on a mobile device, this and other markets in SE Asia are well ahead of the curve, setting trends across the digital economy that we see diffusing into global markets. IATA’s predicts that there will be as many as 8.2 billion air travellers by 2037, the bulk of that growth will come from the Asia-Pacific region where consumers have mobile-first habits. This makes it critical for airlines to embrace mobile platforms from travel search to bookings and throughout the entire journey. 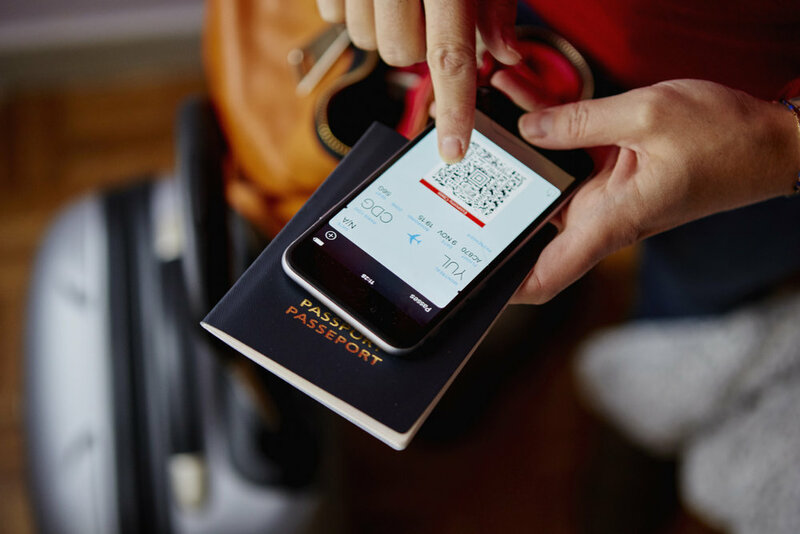 Skyscanner has already identified mobile as a key factor shaping the future of travel. The pace of change is also driven by consumer technology habits, with a greater number of consumers in markets around the world showing a growing preference for mobile platforms. As Deloitte reported in its 2017 mobile consumer trends update, mobile devices have now become an intrinsic part of life in economies around the world, with more than 90% penetration. Smartphones serve in place of computers for many consumers in developing economies with an average 82% penetration. This year progress has been reported by many airlines. For example, Pegasus reported a 90% compound annual growth rate in mobile booking share (both through the app and the mobile website) over the past three years. Airlines have to consider how these tools are re-wiring consumer’s transaction habits—impacting UX design as well as workflows and back-end systems. Skyscanner is working to deliver opportunities for its partners through Direct Booking – a solution which is all about providing a flexible, optimised retail experience, with features which bring the right options to the top of the search in the increasingly small space of the mobile front page. It is designed to put the retailer’s brand at the forefront and ensure a direct connection to the consumer, regardless of the context of purchase. Consumer payment habits are evolving at a fast pace, with a shift in favour of mobile payments in some markets, particularly China thanks to rapid smartphone adoption. Airlines have already made the shift to accept alternative payments like WeChat Pay, Alipay and Apple Pay and are reaping the benefits. Finnair became the first airline to team up with Alipay for in-flight shopping and payment in January last year and reported a 200% increase in onboard sales after adopting Alipay. Said Anni Ahnger, Finnair's Head of Ancillary Sales. Alternative payments will only grow in the future, as we see a closer relationship between a person’s identity and their mobile device. Moreover, continuous demand for enhanced security and identification systems has led to increasing adoption of biometric data encryption devices such as Face ID. Research from Gartner predicted that by the end of 2020, businesses that invest in new authentication methods, such as biometrics, would experience 50% fewer identity-related security breaches than those who didn’t. Most digital wallets use better authentication methods to confirm purchase intent and identity than credit cards and two-factor authentication adds a layer of security, which is not omnipresent across all card issuers. Finally, most alternative payment methods carry lower fees for merchants, which certainly reduces the cost burden of non-cash transactions. For airlines, there is much to gain beyond a boost in bookings, including a cost reduction in credit card, transaction fees and fraud protection. How will voice and AI impact tomorrow’s travellers? Accompanying a shift to mobile is a greater reliance on voice assistants. According to US analytics firm ComScore, 50% of searches worldwide will be carried out via voice by 2020. While the use-case for airlines is still in its infancy, some airlines see voice as an integral part of the consumer’s digital ecosystem and want to be present. Air Canada’s Alexa skills offer customers flight status information, fare quotes, mobile app tips, and general travel information on what documents are required as well as ticket polices, TSA pre-check availability and even baggage carousel information. We may see a spike in voice travel search activity as more Voice Assist units are sold and more GenZ consumers grow into the travel market. Travel search has to be ready to adapt. Moving to retail and ecommerce, we will see frequent repeat purchases pick up within the voice medium, simply because there is no confusion in the user’s mind about the product they are getting – ‘Alexa, order my Nespresso capsules’ is a relatively simple command. There are still a number of questions on whether voice search might become a significant opportunity for search and booking or simply a tool for travel management, but Air Canada’s user-case hints at promising possibilities. Tomorrow’s travellers are impatient by nature. IATA’s latest Global Passenger Survey shows that most Millennials prefer the speed and efficiency of mobile apps and self-service processes. They want greater automation from the industry, with baggage drop processes that can be completed in 30 seconds or less and wait times at baggage claim that don’t exceed five minutes. These desires are not unreasonable and the process of making travel arrangements should not take longer than the journey itself. The technology to make travel search faster and more relevant already exists, but it needs to be applied in a way that benefits consumers. AI may carry a big share of the burden of simplification, by processing data on consumer habits that help narrow search. We’ve previously discussed the benefits and complications of applying the “Netflix model” to search. While AI might accurately predict the consumer preference, travellers may not necessarily feel that they have been presented with the option most suitable for their needs. Matching data and historical preferences to search results is important and Skyscanner have optimised our product to help travellers with their choices whilst not compromising on being a marketplace where travellers can see results presented in an unbiased way. Removing choice is not necessarily good for consumers– for example, true personalisation would be giving a single result based on a search. For this reason, we can apply smart techniques in helping the traveller make a more informed decision, but still leave the decision with the traveller, rather than take it away. On Skyscanner, a widget can be found at the top of our search results which, based on an understanding of travel trends, could serve suggestions to the consumer. These range from showing all direct flights options on a particular route, if we believe the traveller exhibits preference for direct options or suggesting alternative dates to travel to save money, if we think the traveller is more flexible with their dates. That’s just scratching the surface of what is possible, but again – AI to help us refine and suggest, but not impose and reduce or remove choice. Over the next 20 years, delivering seamless travel to 8.2 billion travellers will rely increasingly on the open exchange of information, simplified bookings, easier payments, and smart applications that encourage passengers to manage their own travel. Partnering with companies such as Skyscanner will also benefit airlines and others in the travel ecosystem seeking to leverage our expertise around mobile and bot technology, as well as the data captured on the behaviour of our 80+ million monthly visitors.